I wasn't going to pick up Skyrim, which came out today. I was going to spend the weekend beta testing Star Wars: The Old Republic MMO. 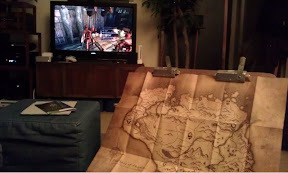 But when my husband picked me up from work with dinner and an awesome epic RPG, I couldn't resist.